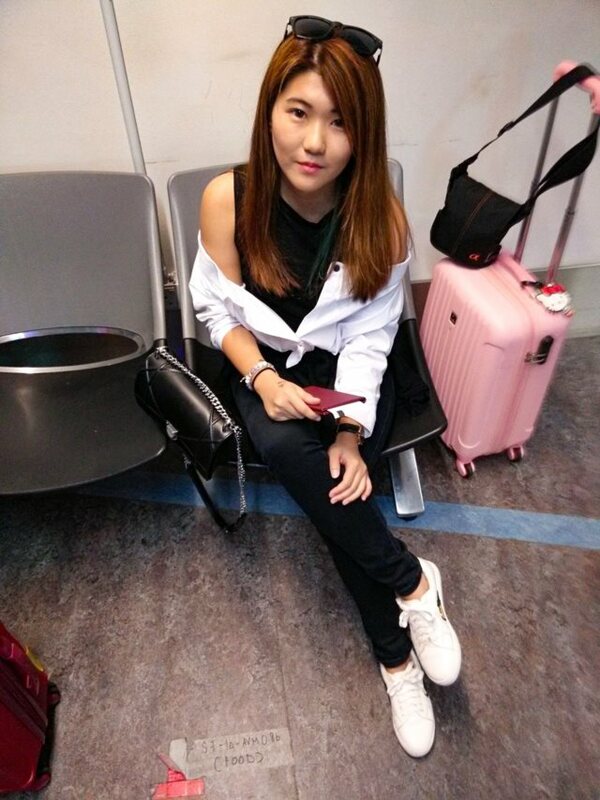 While waiting for my flight to Bali. 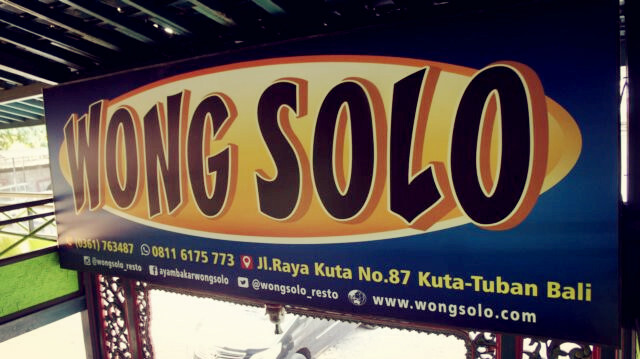 We had Ayam Penyet at Wong Solo for late lunch/early dinner upon arrival. The place was fully booked when we arrived at about 5pm. Our Ayam Penyet and avocado drink. 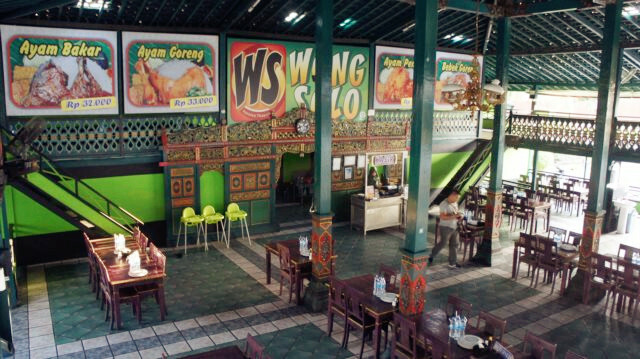 The sambal is delicious but very spicy, however the portion of the chicken was such a disappointment. It is very very tiny. 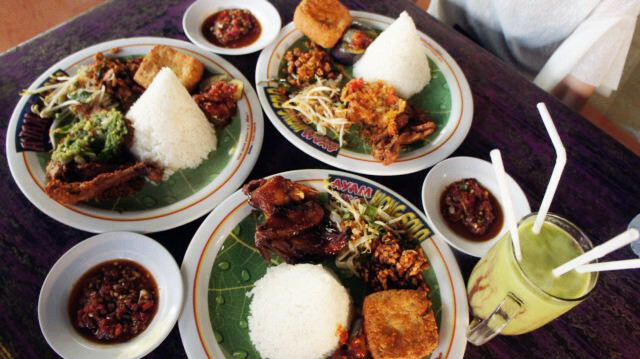 The total bill amounted to about 170k rupiah. I'm not a big fan of avocado but honestly speaking, the avocado drink there taste really really good. You should at least try it once if you're there. We did nothing much on our first day in Bali due to our late flight. Right after dinner, we took a short rest back in our hotel and resume to explore around Kuta (since we're staying in the middle of Kuta area). It was about a kilometer away from our Suris Boutique Hotel. So we decided to walk instead. It's a good idea and also a bad idea at the same time. Good because you will be able to save transportation money, but then it's quite dangerous and tiring of course. 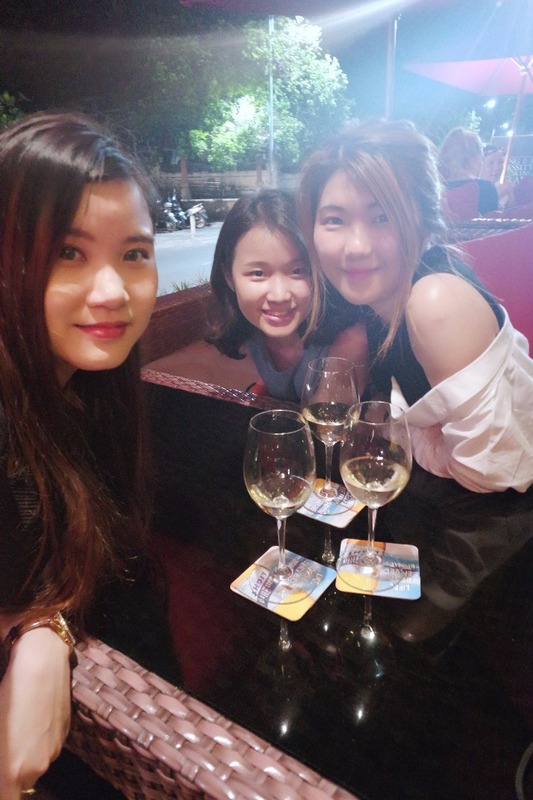 We settled down at Rosso Vivo after walking around Beach Walk Shopping Mall. 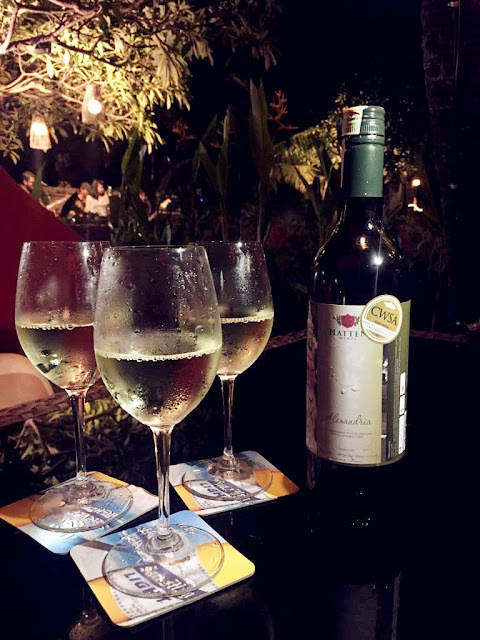 Enjoying ourselves with a bottle of white wine. 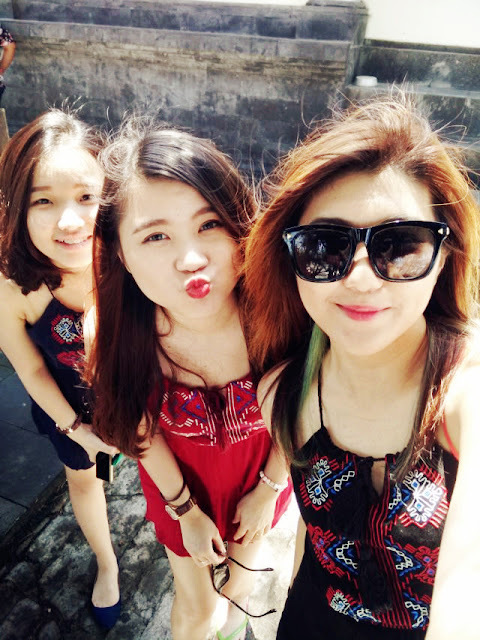 The following day was fully utilized by us. 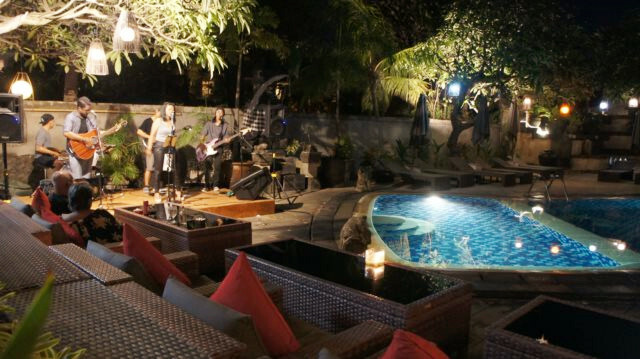 Our hotel - Suris Boutique Hotel, Kuta Bali. 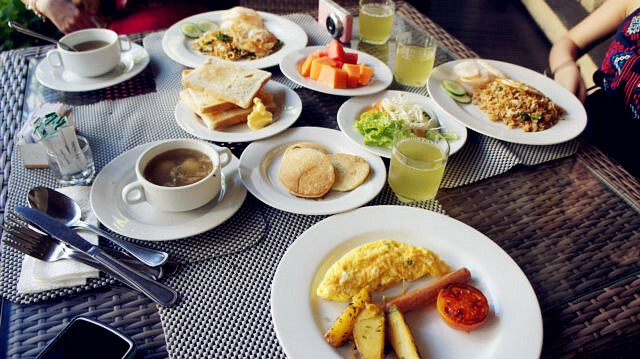 Having our breakfast by the pool. 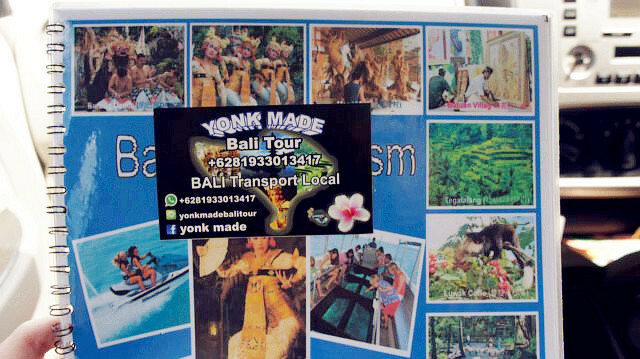 Book your tour with YONK MADE. 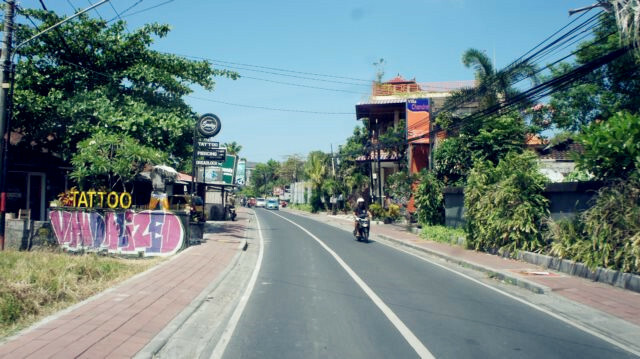 Bali roads are very small. Basically there's only two lanes as you can see from the photo above. Therefore the journey from one place to another consumes extra time although the distance is quite near actually. 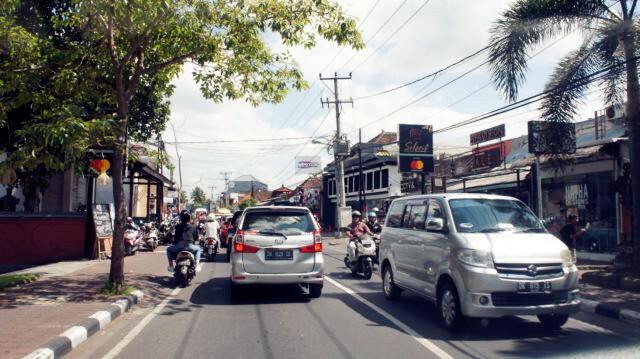 Plus, I noticed that drivers in Bali doesn't drive exceed 60kmph. If you want to avoid the traffic, rent a bike. That's what most 'angmoh' did. 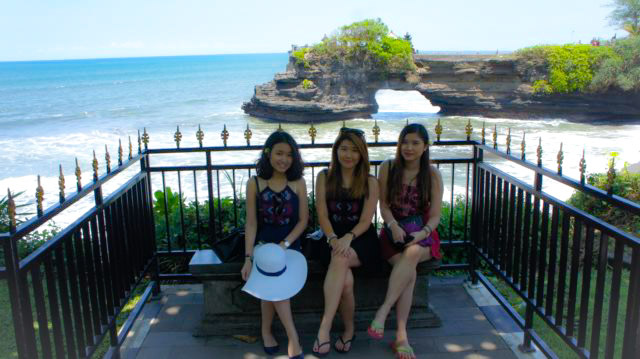 Our first stop was Tanah Lot. 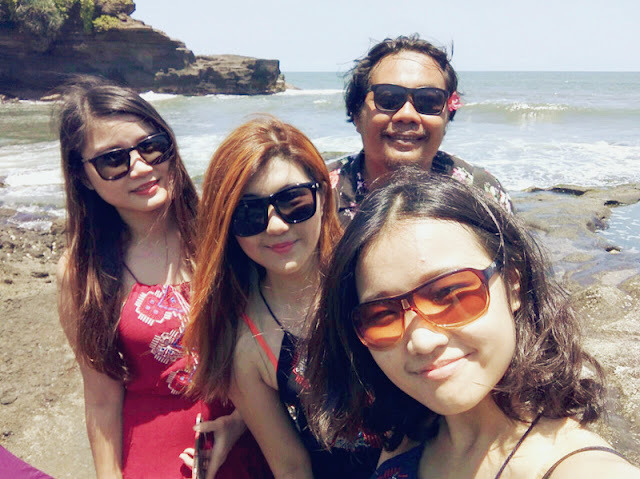 The distance from Kuta to Tanah Lot was less than 25km but it took us around 60-70 minutes drive. In our matching girl friends outfit. 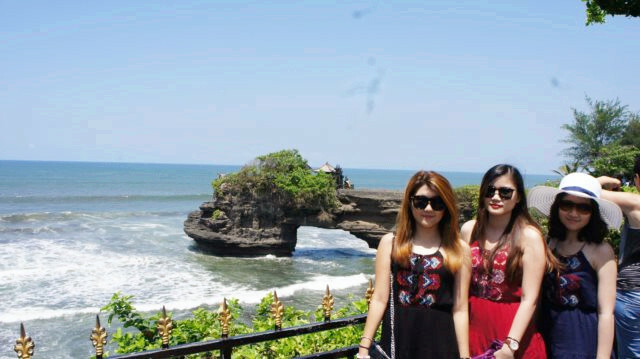 Pura Batu Bolong as backdrop scene. 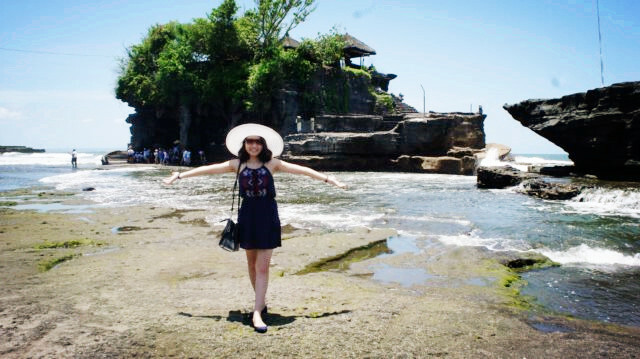 Pura Batu Bolong is just few meters away from Tanah Lot. Coconut on a hot sunny day is a must! This thing taste 10 times nicer than ondeh ondeh.